Discussion of firefighting operations, training and life in a small mountain town. Why should you follow TahoeMountainFirefighter? I know what you are thinking. Why should I follow someone who works in a small career department. What could this blog have to offer that is worth my time? Well let me tell you then. I am a Captain/Paramedic in the Lake Tahoe region of California. I have been in this business for a little over 20 years. Our region provides us with a huge variety of challenges that will make the topics and posts on this site interesting for firefighter’s and non firefighters. Let me give you a brief summary of our department and you can decide for yourself. We are a small department as I have said already. Our department staffs 4 stations with about 50 line personnel. Our District covers nearly 300 square miles siting in the Sierra Nevada Mountains near Lake Tahoe at 6000-7500 feet of elevation. Our population is approximately 20,000 permanent residents but can swell to nearly 150,000 during holiday periods…a huge challenge to say the least. Our region is heavily influenced by tourism as the region is a big draw for our multiple ski resorts and year round recreation. Our Fire District is split by a major interstate highway, access is quick and easy from large metropolitan areas with 250,000 vehicles a day passing through. A major railway also splits our District and is very active for freight and passenger travel. We have a local airport that is attracting the small single engine aircraft to the large private jets. It is a surprisingly busy airport that brings visitors all year-long. Winter time brings a ton of snow (most years) attracting the downhill, cross-country skiers to the 9 ski areas in our response area. 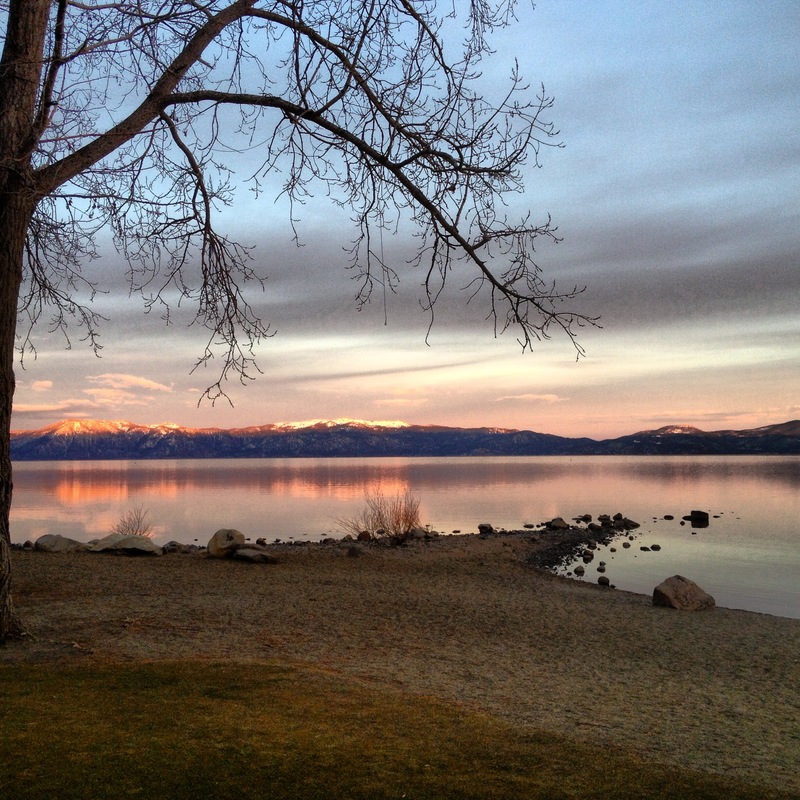 Spring, summer and fall are full of visitors from all over the world coming to Lake Tahoe but also to spend time camping, golfing, mountain biking, boating, fishing….etc. Why do I give you the travel agent report? These are the things that drive most of our incidents and cause most of the challenges we face as firefighters that are worth discussing and for you to continue following. Our department at a glance is generally slow @ 2500-3000 calls a year. Don’t run away just yet, it is not that bad. Like many departments our primary responses are EMS and we are all paramedics with cross-staffed medic units/engines etc. We respond to a wide variety of incidents to every year…this is why I think you should keep reading and why you should keep following, let me give you an example. We respond to everything from your miscellaneous medical aid, to a traumatic injury at a ski resort requiring response from our many air ambulances in the area. We are doing backcountry rescues, we are hoisting patients into helicopters, we are performing high and low angle rescues on a regular basis, we are fighting wildland fires, we are performing complex vehicle extrications, we are responding to frequent passenger and commercial vehicle fires, we are fighting structure fires (yes…about a dozen a year or more), we are responding to Hazardous Materials incidents as part of a Regional Team that we operate out of our District, we are responding to our many lakes and rivers as part of an inter-agency Dive Team, or our swift water rescue team, we are at times responding to building collapses, major gas leaks and explosions, and we are responding to about a dozen aircraft accidents each year. During the winter months some areas of our District can be buried under 25 feet of snow, with that we are responding to avalanches,ice rescues and structure fires in homes surrounded by steep walls of snow and ice. We do all of this and more with very limited staffing, like many of us do all over the country right? ” Do more with less” that is the unofficial motto for quite a few. But hey, you do your best with what you have. Did I just describe most ” any town” fire department in america?…probably. Of course these incidents are not uncommon and I do not profess to do any more of it than anyone else, all I am saying is that I have a variety of experiences given the challenges our particular department sees and that is all I can go off of and talk about. But knowing that this is common, is why you should follow me and join me in discussions about how we operate, how we handle these emergencies with what we have, how we train to keep some sort of efficiency in all these areas and how the unique challenges we face in each of our communities can be shared to better the group as a whole. Gaining experience in areas such as fighting building fires in departments such as mine are very limited. How do we get better? How do we become better firefighters knowing that we will never have the experience of a firefighter from FDNY for example? We train, we learn and we listen from those who know what they are talking about. But we hold our heads high, accept that we can’t change where we have chosen to be firefighters. We have to accept the limitations of our particular communities and always strive to better serve them. There are great firefighters that work in small departments for a variety of reasons and because we do not get the volume of incidents that some departments do does not make us any less knowledgeable or skilled in certain areas…this is worth discussing amongst many other things. As has been said by many a great firefighter way before me, the day you stop learning on this job you should retire. As firefighters we should never stop trying to better ourselves, our departments and our communities. This is one of my outlets I hope generates some interest, and promotes more discussion. If not I will continue to just talk to myself….there will be a little less backlash that way…haha. More to come…just getting started. ← About me and why I decided to start this blog.